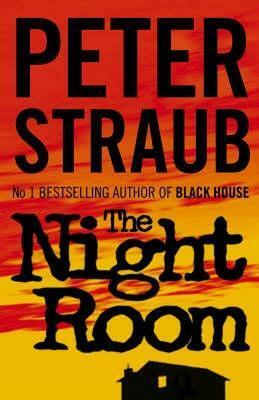 In The Night Room initially alternates between two characters; both of them writers. Later on in the book though, the two meet and their separate adventures become one and the same. The reader meets Tim Underhill first and finds him having some problems concentrating on his work. Quite a few problems actually. He is getting emails from dead friends and acquaintances and as if that is not enough worry for the man he also has the added distraction of his dead sister turning up from time to time and has even managed to offend someone rather nasty on the other side who has now returned and is hell-bent on making Tim’s life a misery. Meanwhile, Willy Patrick has troubles of her own. After losing her husband and her daughter in an accident Willy has managed to pull herself together, get her life back on track and has even found a new love, in the tall, dark and handsome form of Mitchell Faber. He is secretive and mysterious, but what the heck, he is great in bed and Willy loves the guy. Sounds fine so far, doesn’t it? but when Willy discovers a few incriminating photographs in Mitchell’s office she realizes that he may very well have murdered her family and the poor girl’s world is once again turned upside down. Tim and Willy meet about halfway through the book when Tim is doing a signing at a store. He is extremely surprised to meet Willy in the flesh, but is nevertheless quick to come to the aid of the damsel in distress and the two embark on a doomed relationship while Willy continues to hide from Mitchell’s henchmen and Tim tries his hardest to make things right with his unearthly enemy. In The Night Room contains 511 pages of very good story. So good, in fact, that the book won a Stoker Award in 2004 and should you decide to read the book you are guaranteed to get a few surprises because not everything is as it seems. It is the characters though, that make a story and Tim and Willy are both very likeable and once you realize how doomed their relationship is and the reasons for this, it is rather hard not to feel sorry for them. But In The Night Room is not all doom and gloom, the book also has its humorous side and some of the emails that Tim receives from a spirit called Cyrax are rather amusing. I was a little slow on picking up on some of the jokes though. For instance, all through the book I wondered why Cyrax kept calling Tim by the name Buttsecks, then when I had almost finished the book I realized that it was a reference to to the fact that Tim is gay; even if he does later find that he prefers Willy to willy. In The Night Room is a horror novel, but if you are looking for a read that offers a bloody bonanza of bashing and slashing you will be sadly disappointed. If you just want a great story though, that offers a few chills mixed in with the thrills, but where your stomach wont turn along with the pages then you should probably take a peek In The Night Room, you might be pleasantly surprised at what you find.